The first results from a Northern Continental Divide Ecosystem grizzly bear “family tree” study are encouraging . . . 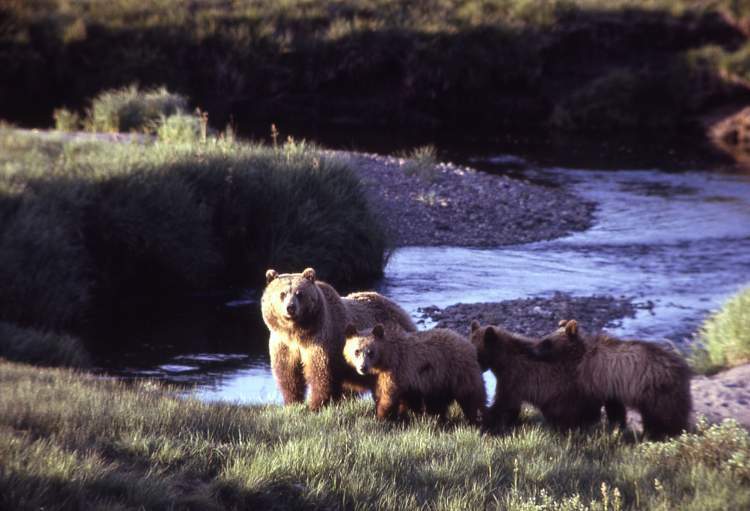 Using genetic analysis U.S. Geological Survey Scientist Tabitha Graves and Nate Mikle recently completed a first look at the “family tree” of grizzly bears in the Northern Continental Divide Ecosystem. The 8-million plus acre area stretches from Glacier National Park south to Ovando. The pair looked at genetic data gathered from 1,115 bears in a 2004 study done by researcher Kate Kendall and again in 2009-2012 through hair follicle samples of bears. The family tree, printed out on one sheet of paper, stretches 20 feet, Graves noted in an interview last week. The thrust of this initial study was to determine the genetic diversity of bears on the fringes of the ecosystem, namely in the southeast and southwest corners.